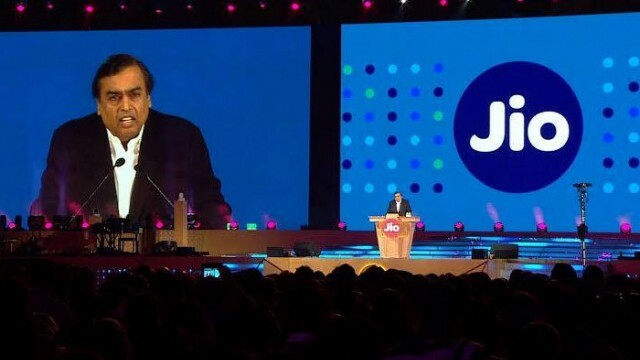 NEW DELHI: Reliance Industries-led Reliance Jio Infocomm Limited (Jio) said that it will add another 100,000 mobile towers in coming months. The company has already deployed over 100,000 mobile towers in country. Jio has built a next generation all-IP data network with latest 4G LTE technology. It is the only network built as a Mobile Video Network and providing Voice over LTE technology. It has built a future ready network which can easily deploy 5G and beyond technology in the last leg. Jio has created an eco-system comprising network, devices, applications and content, service experience and affordable tariffs for everyone to live the Jio Digital Life. Since commencement of services on 5th September 2016, Jio has become the fastest growing technology company in the world. It crossed 50 million subscribers in just 83 days, and 100 million in 170 days, adding at an average rate of 6 lakh subscribers per day. Jio continues its rapid ramp-up of subscriber base and as of 31st March 2017, there were 108.9 million subscribers on the network. With more than 110 crore GB of data traffic per month and 220 crore voice and video minutes a day, Jio has become the largest network globally in terms of data carried and contributed to India becoming the leading country in the world for mobile data usage. Jio users are today consuming nearly as much data as on all the mobile networks in the USA and 50% more data than mobile networks in China in a clear indication that India will adopt digitisation and Digital Life faster than anyone else in the world. On Jio’s network, peak simultaneous video streams seen on a daily basis are more than double of that seen at the Super Bowl event in the USA. This is indicative of the strength of the network being delivered by Jio. In terms of network speeds, reports by TRAI’s speed analytics portal and other independent agencies have qualified Jio’s data speed as the best in the industry on an ongoing basis. As per TRAI MySpeed Portal, Jio’s average download speed at 15.0 Mbps in March 2017 is almost twice of any other operator. The capacity and speed of the network are complemented by the widest LTE reach in the country. Jio has the world’s largest greenfield 4G LTE wireless broadband network, with over 100,000 mobile towers. And it will add another 100,000 towers to the network in the coming months. Jio is the only operator which has deployed pan-India LTE network across the 800MHz, 1800MHz and 2300MHz bands, giving it tremendous capacity advantage. During the quarter, Jio announced industry redefining tariff plans as it embarked upon the world’s largest migration from free to paid services. It announced the Jio Prime Membership for its initial customers. Jio Prime members would enjoy ALL UNLIMITED benefits at tremendous value, alongwith host of other benefits for a nominal, one-time enrolment fee of ` 99. In addition to its offer of FREE VOICE (domestic) on its network – no local, STD, roaming charges, to any operator, anywhere in the country, Jio also provides the best data experience with the lowest price globally. Within a month of announcing the Jio Prime Offer, over 72 million Jio customers signed up for JIO PRIME, making it one of the most successful customer privilege programmes anywhere in the world. ALL UNLIMITED PLAN for daily high data users offering Unlimited SMS, calling and data (2GB per day at 4G speed) for 3 months on first recharge. In order to smoothen the migration from free to paid services, Jio has implemented simple, affordable and regulatory compliant plans in customer interest. During the quarter, Jio continued to solve its interconnection congestion issues with the leading telecom operators. There has been noteworthy improvement in local access in recent weeks. While NLD interconnection remains an issue in some service areas, Jio is committed to solving this at the earliest and hopes for co-operation from the other operators. Towards enablement of customer convenience, Jio started home delivery of SIM, and has seen massive uptake. Jio’s bouquet of applications has also seen growing usage in the last quarter. Mobile Number Portability (MNP), which allows consumers to retain their existing mobile number when they switch to Jio, is available for all consumers. Lakhs of consumers have already used this facility. For International travellers, Jio’s International roaming service is now available across the world, with the best voice and data rates in the industry. The Company continues to make progress on the roll-out of its Fibre to the Home (FTTH) business offering with beta trials initiated in a few locations. It would expand the scope of the beta trials over the next few months. During the quarter, Jio won the Global Mobile Award 2017 for “Best Mobile Innovation for Emerging Markets” at the Mobile World Congress, 2017. The award is a recognition of Jio’s efforts at improving broadband penetration in India and make it accessible to everyone. Jio also announced partnership with Uber aiming to bring benefits of digital ecosystem to their users. Reliance Jio to add another 100,000 mobile towers in coming months 4 out of 5 based on 1 ratings. 1 user reviews. I want to apply for jio tower in my land. please tell us what to do for it.